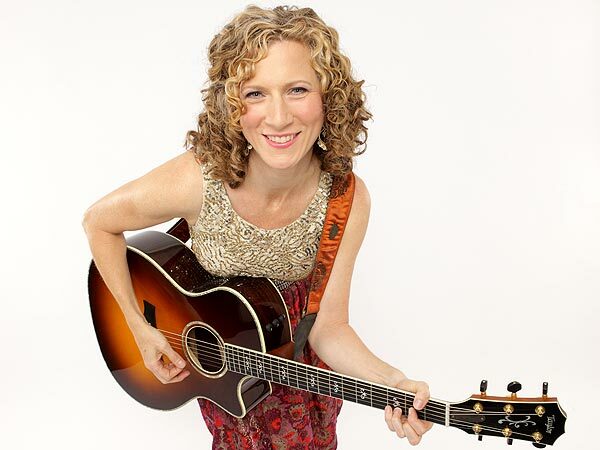 When it comes to children’s music, Laurie Berkner is the tops. Not only does she have five albums under her belt, but the beloved musician also has her own show on Sprout TV‘s calleed Sing It Laurie!. Berkner is also mom to 8-year-old daughter, Lucy Mueller, who regularly inspires her songwriting. So we thought it would be great to get her tips on how to encourage your tots to channel their inner Justin Timberlake or Beethoven (whichever you prefer). Sing to your little ones. It sounds simple, but do it whenever you have the opportunity. It will make the experience of singing organic to their lives, and something they associate with being fun and playful. I remember making up “Going On A Hunt” because I could never find anything in our apartment. It turned our searching into a game and was so much more fun. Also if your child has a story to tell you, ask them to share it as a song. It forces them to think in a different way and helps bring out their creative sides. Engage in musical activities. 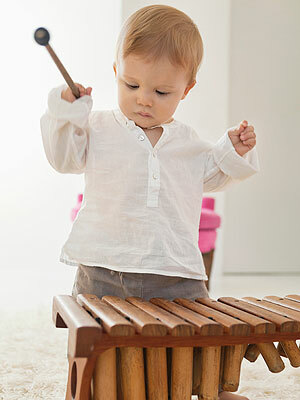 Some kids start their connection to music by absorbing it. When I taught music in pre-schools, there were always some kids in my classes who just wanted to listen (rather than get up and sing or dance). Inevitably, it was these same kids who were going home every day and acting out the songs we sang at school. When you’re at home, turn on the radio or whatever player you own while cleaning up or making dinner. Or you can take your child to a concert for kids. Our family loves musical theater. Stopping to listen to street performers is another way to build their appreciation. And if they express an interest in playing an instrument, follow through. They are much more likely to maintain interest if it was their idea. Bust a move. 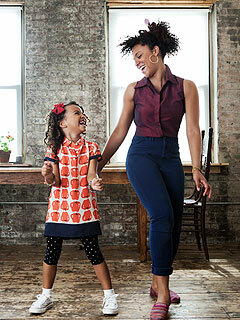 When you are listening to music together, encourage your kids to get up and dance. Younger children really respond to this because they use their bodies to express themselves at first. The fun and joy that they will experience with you will be associated with music. Have fun. Don’t worry about doing it right, singing in tune or knowing the words. A very wise woman once told me, “If you’re having fun, you’re doing it right!” Fans often write to tell me about ways they have changed my songs to fit their families. Like changing my song “Moon Moon Moon” to “Sun Sun Sun” so they could sing it during the day. I also like to put on music and then ask my daughter to draw or paint whatever comes to mind. You can ask your child to choose colors based on the music playing so they really feel the connection. Make it personal. Introduce them to the music you love, including songs you enjoyed while growing up. When they see how much you love it, they’ll grow a fondness for it as well. It almost becomes a family tradition because certain tunes are passed down. And if you play an instrument, perform for your kids and have them sing along.